USA Bowling has several components from education to leagues and tournaments. All of the guides, marketing materials and more are at your fingertips to start a mainstream sports model in your community. Simply click on the file name and depending on the file type it will open in a new window or download to your computer. The New Sports Model: What is USA Bowling? Seven Steps to Success: Learn about the details of the program and how to make it a success with this guide. Strategic Plan: USA Bowling's vision, mission and messaging. Proprietor Presentation: Want to learn about the USA Bowling model? Take a look at this proprietor presentation. Consumer FAQ: Frequently Asked Questions for the customers. Proprietor FAQ: Frequently Asked Questions for the proprietor. Sample Rules: A sample set of rules for your USA Bowling league. Team Leader Guide: Provide your volunteers with this curriculum to run a successful USA Bowling 101 program. Proprietors Guide: Develop a USA Bowling 101 program in your center. Learn the Game: The Beginner 1: Weekly lesson plans for the Phase 2 bowler. Learn the Game: The Beginner 2: Weekly lesson plans for the Phase 2 bowler. Fundamentals 1: Bowling coach's "cheat sheet"
Fundamentals 2: Bowling coach's "cheat sheet"
Glossary: Bowling coach's "cheat sheet"
On-Lane Drills: Bowling coach's "cheat sheet"
Sign Up Form: This USA Bowling league sign up form is ready for you to print and use in your center. It is a black and white PDF document. Custom Sign Up Form: Customize this sign up form by adding your logo and league-specific information. This a Microsoft Word document. One Day Camp Guide: How-to guide to developing a one-day USA Bowling Summer Camp. 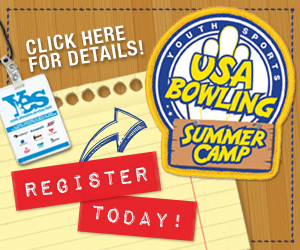 Three Day Camp Guide: How-to guide to developing a three-day USA Bowling Summer Camp. Five Day Camp Guide: How-to guide to developing a five-day USA Bowling Summer Camp. Staff Scripts: Sample scripts for your staff. FAQ: FAQ concerning USA Bowling Summer Camps. Baker Game: Guide on the four-person baker game. Beanbag Toss: How-to guide for erecting a beanbag toss. Circuit Training: How-to guide for running circuit-training exercises. Keeping Score: Guide and activity for teaching how to keep score while bowling. Parent Orientation: Use this PowerPoint to introduce new parents to bowling and your center-specific programming. PVC Targeting Device: How-to guide for erecting a great tool to work on a bowler's targeting. Curriculum - 1: Lane play for the Phase 1 bowler. Curriculum - 2: Lane play for the Phase 2 bowler. Nutrition: Tips on how to maintain healthy nutrition habits. Warm Up: Exercises to help warm up those muscles before beginning to bowl. Conditional Activities: Get into shape by using these conditioning exercises. Cool Down: Don't forget to cool down after you're done bowling with these exercises. Glossary: Coaches glossary of commonly-used bowling terms. Flyer: This color flier is a high-resolution file with full bleeds and can be sent to your local printing company. Banner: Add your logo and info to this color 6' x 2' vinyl banner. This is a high-resolution JPEG that you can ask your local printer to customize for you. 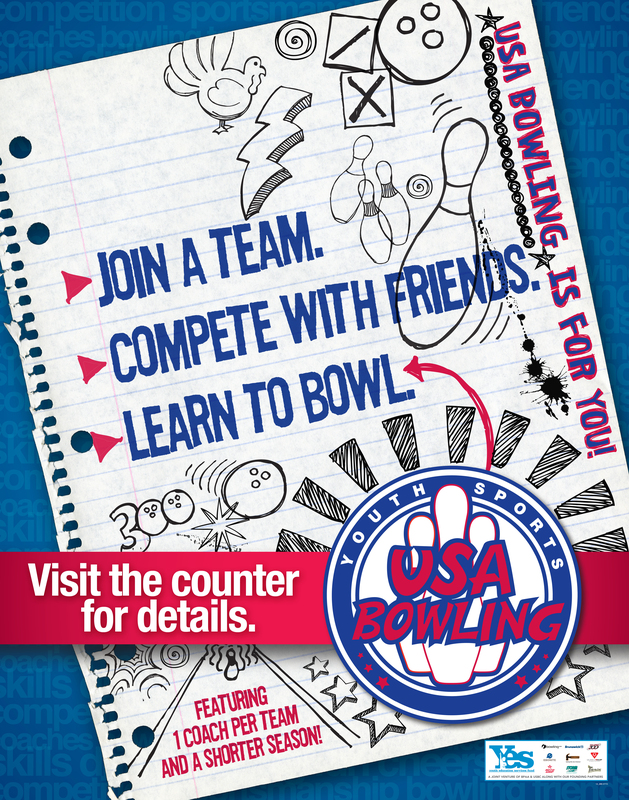 Counter Display: Promote the USA Bowling program at your front counter with this 11" x 14" counter card. This is a high-resolution file with full bleeds that you can upload to your local printing company. Poster: Add your logo to this full color 22" x 28" poster that is high-resolution with full bleeds and can be sent to your local printing company. Web Banner: Advertise your new USA Bowling program online with this 600 pixel x 300 pixel web banner ad. If you need a different size, simply contact us and we can resize it for you! 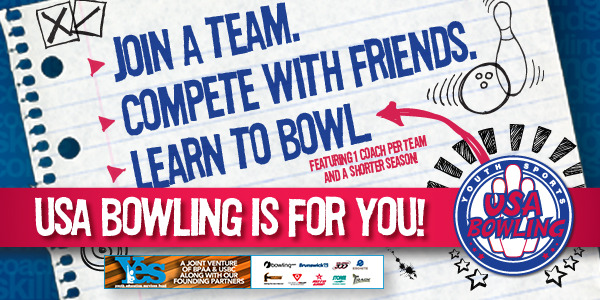 Camp Banner: Hang this banner to intrigue bowlers to find out more about joining your Summer Camp program. Camp Flyer (Custom): Customize this Summer Camp flier with your camp-specific information and logo. Postcard Front (Custom): Customize this postcard with your camp information to mail out to your bowlers! Simply add your info and send the file to your local printing company. 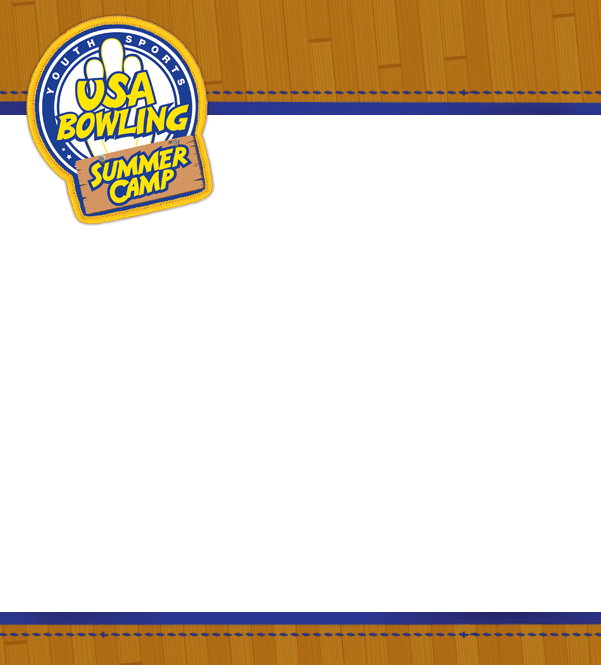 Postcard Back (Custom): Customize this postcard with your camp information to mail out to your bowlers! Simply add your info and send the file to your local printing company. Camp Poster: A high-resolution poster with full bleeds to advertise your Summer Camp program. Camp Email Template: Promote your Summer Camps and communicate to campers with this email template. Camp Web Banner: Advertise your new Summer Camp online with this 300 x 250 web banner ad.